Women's Original Exploded Logo Flip Flop is rated 4.8 out of 5 by 25. 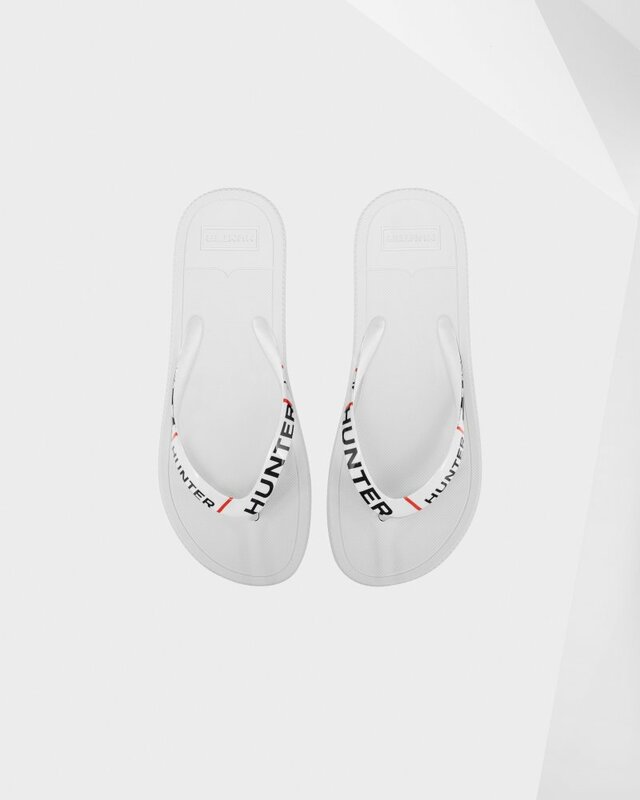 En una nueva interpretación de la chancla Original, esta temporada las tiras están estampadas con el diseño del logotipo ampliado de Hunter. Cada par está elaborado con caucho ligero y cuenta con tiras de PVC blando. Rated 5 out of 5 by ConHun from Cute and Comfortable! Iim a size 7 1/2 so I got a size 8 and they fit perfect!! Rated 1 out of 5 by KindYogi from Complete dissapointment I bought this to replace an economical pair that I got after losing another pair of brand name sandals. The pair I got let me down and been very disappointed. The T strap that holds the sandal to the sole keeps moving making walking dangerous and uncomfortable. They also left a blister after the first time I wore them on a short walk from my car to the pool. Customer service has been excellent and will be getting a replacement out to me in the event I just got a defective product. Rated 5 out of 5 by Ladybug from Just fabulous! They are very comfortable and easy to slip on and go. Rated 5 out of 5 by sanderz from Flip flops Got these on sale! Very happy! True to size! Love it! Rated 5 out of 5 by Wanda B. from Stylist I wear flip flops all year long. I love them. Cute and received many compliments. Rated 5 out of 5 by Alice in wonderland from Good buy I am very happy to choose Hunter products. This flip flops is the most comfortable one I ever have worn. Love it so much.